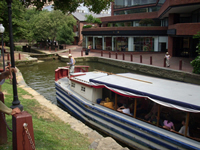 Did the canal boats really move on a plane? Yes! However, it wasn't an airplane, but an inclined plane! It was all about Georgetown traffic. Canal boatmen spent around 20% of their round-trip commute time Cumberland to Georgetown just waiting to unload their cargo in Georgetown. People complain a lot about traffic today, but imagine waiting sometimes two or three days just to unload cargo. For a business, traffic delays mean lower productivity. To compete with the railroads, the C&O Canal had to become more efficient. 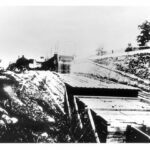 The solution to the congestion problem was the Georgetown Incline Plane. Completed in 1876, the incline was considered an engineering feat on the canal. 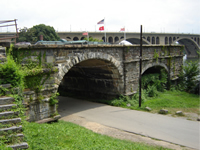 It allowed boats to be lowered down a steep embankment into the Potomac River approximately 150 feet away without needing to build six or seven locks to accomplish the same task. The caisson into which the boat floated resembled a large, watertight railroad car or bathtub. The doors of the caisson were closed, sealing the boat inside. 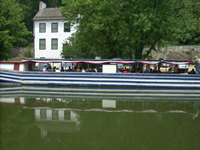 The supporting structure under the caisson was angled to allow the canal boat to remain level as it descended and ascended the 4.5-degree slope. The incline utilized water drawn from the canal to power a turbine engine. The turbine turned massive pulleys with steel cables attached to the caisson and to counterweights. A counterweight would move in one direction, pulling or lowering the caisson in the opposite direction. When a caisson was moved up the incline, the counterweights moved down the incline, and vice versa. The plane had three sets of railroad tracks. The middle track carried the caisson while the tracks on either side carried railway cars loaded with heavy rocks to counterbalance the caisson. The caisson could weigh as much as 400 tons, depending upon the weight of the boat and its cargo. The counterweights weighed approximately 200 tons each. When the caisson descended the middle track, the counterweight cars on either side were pulled up with the giant pulley system. 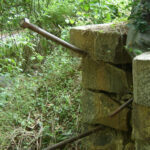 In 1877, a tragic structural failure killed three men. By the late 1880s, floodwaters and decreased canal boat traffic rendered the incline plane obsolete and financially unprofitable to repair. 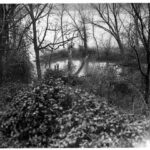 The 1889 flood destroyed most of what was left. 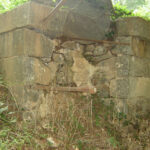 All that remains today of the inclined plane are a few stones gathered next to the towpath at mile-marker 2.3, approximately 0.1 miles downstream from Fletcher's Boathouse. 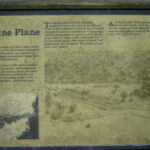 A wayside briefly describes the history of the site and all that occurred there. Standing near the rubble-strewn site of the incline plane, it is difficult for me to imagine the sheer scale and complexity of this former technological marvel. It reminds me that people are inherently driven to solve problems. And traffic in this area has always been one of those problems. Just downstream, as I enter Georgetown, I look up at the Whitehurst Freeway as it winds around the town. Just like the Incline Plane, the Freeway now diverts traffic around Georgetown. Some things never change.